American fashion is influenced by cultures worldwide. Indian fashion, Chinese fashion, African fashion, and European fashion (to name only a few) are all represented in America. This FREE book covers just about everything anyone needs to know about fashions, fabrics, styles, and design. Each term in this comprehensive fashion glossary is accompanied by glossy color photo. Scroll down for a visual list of fashion design tools of the trade, textiles, and wearable art, from bygone times to the present day, and from all over the world. You may notice that many of the terms in this book are Indian fashion designs, with many others coming from African, European, and other Asian countries. 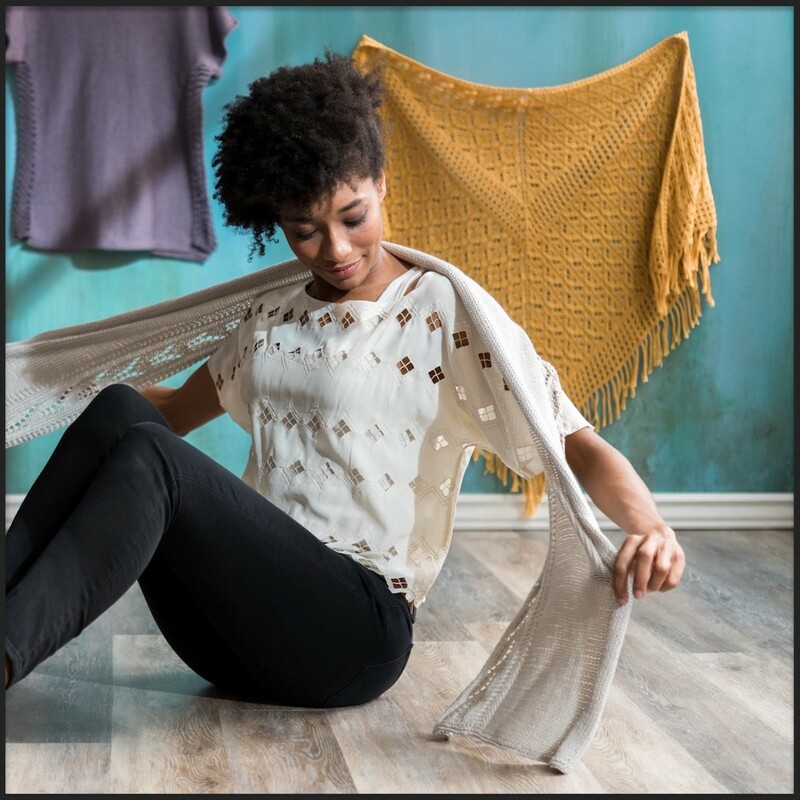 Also find related links to fashion schools Near You, Fashion outlet stores Near You, Free sewing patterns, more Free Books, and other free printable items. GABARDINE: A tough, tear-resistant fabric, often used for making suits, coats, uniforms, and other garments that require added durability. GALATEA: 1. A durable twill fabric, typically available in white with stripes. Galatea is often used for making children's clothes and uniforms. 2. Galatea is also the name of a fashion brand in the Philippines. Shown below, models present Galatea creations in Shanghai during China Fashion Week. 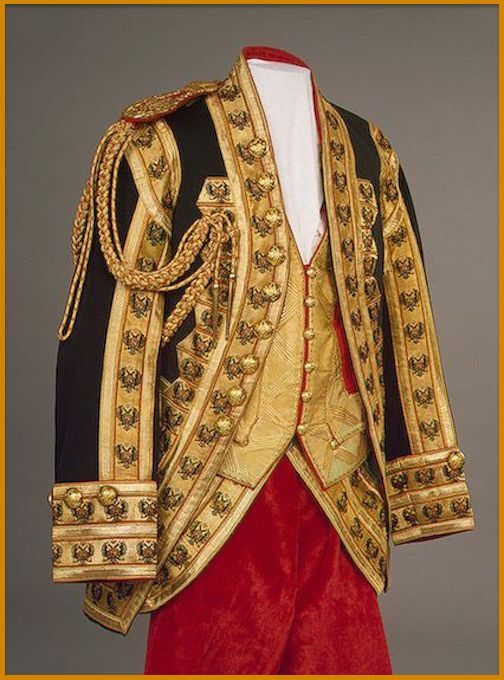 GALLOON: A narrow, ornamental strip of fabric, typically lace, gold, or silver, and often used as trim work on military style uniforms. 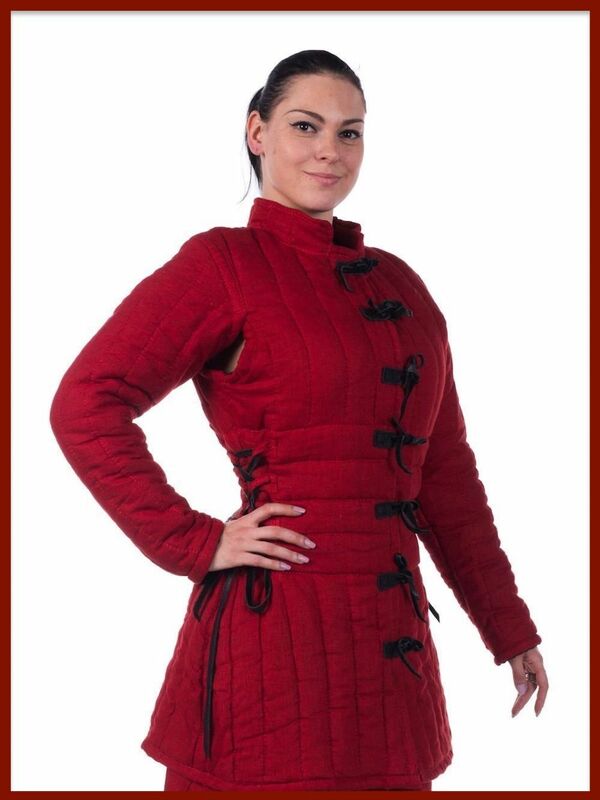 GAMBESON: A medieval-era defensive jacket with super strong padding. GAMLA BUTI: A textile design motif originally created by an Indian fashion designer. Gamla Buti depicts an abstract pattern of flowers in a flowerpot. GARTER: A thin elastic strip that attaches to a waistband. A garter is normally hidden under a dress for holding up stockings, but is sometimes used for decorative effect. Shown below, garter belt jeans. GASSED YARN: A yarn that has been heated to remove surface fibers, resulting in a higher quality product with a smoother finish. GAUCHO: Wide-legged pants of mid-calf length, often worn with boots. GAUNTLETS: Protective gloves that extend well beyond the wrist. Shown below, a display of Modular Phoenix gauntlets. GAUZE: A sheer, coarse fabric, usually made from cotton or silk. Gauze is especially popular among Indian fashion designers, for blending with cotton to make saris. 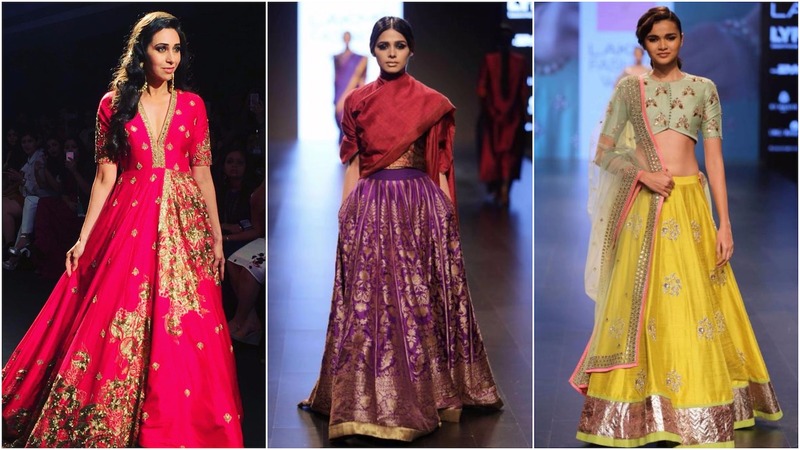 Shown below, 3 looks from some of India's top fashion designers. 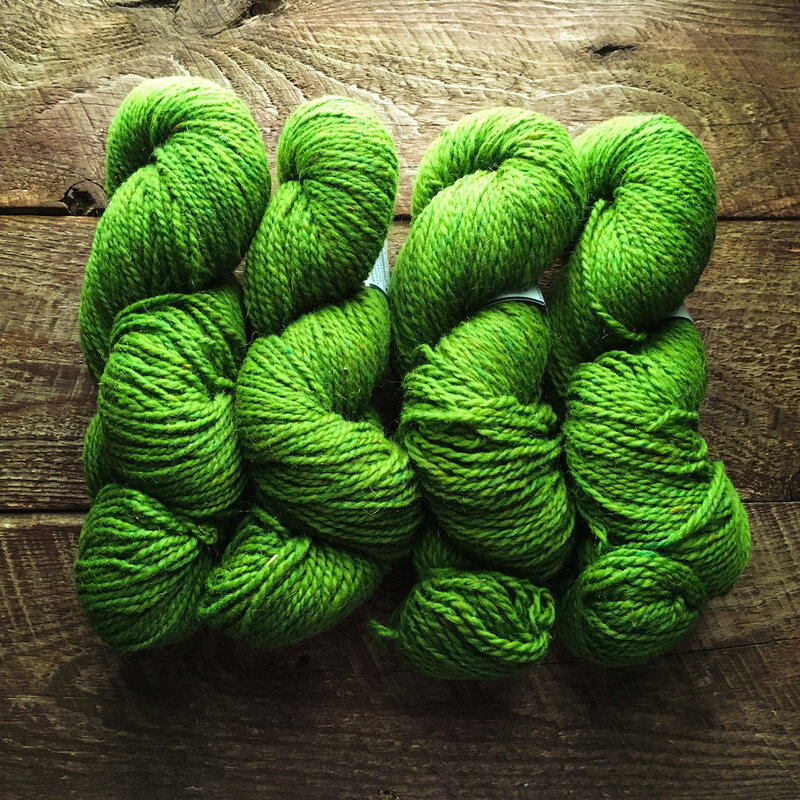 GENAPPE YARN: A gassed, worsted Belgian yarn. GEORGETTE: A thin-yet-durable woven fabric with a grainy texture. Sometimes used by Indian fashion designers to make saris. Shown below, a digitally printed Georgette sari. 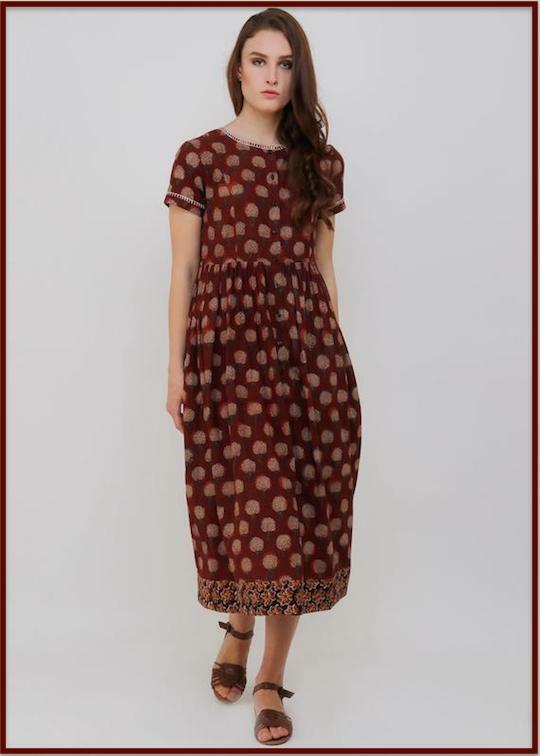 GHAGHO: A cotton, block printed ladies' dress that originated in Indian fashion circles, but is popular in America today. 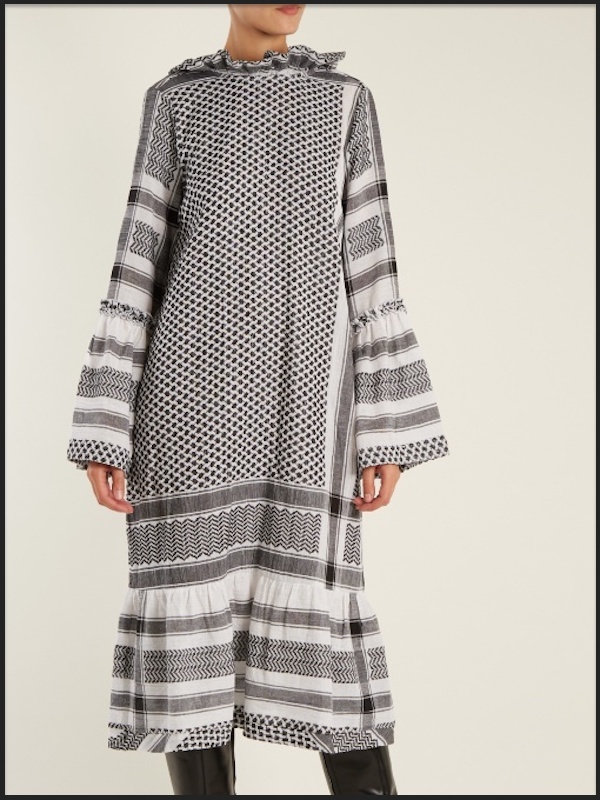 A Ghagho dress is characterized by a roomy fit and a tie closure at the neck. GHAGHRA: A fully flared skirt made from multiple triangles of fabric, fastened with a drawstring around the waist. The ghaghra is popular in Indian fashion. 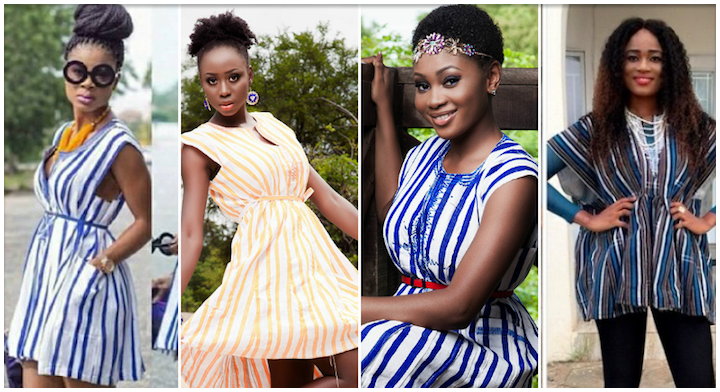 GHANAIAN SMOCK: A loose, striped shirt popularized by men in Ghana, but often worn by women as summer dresses and tops. 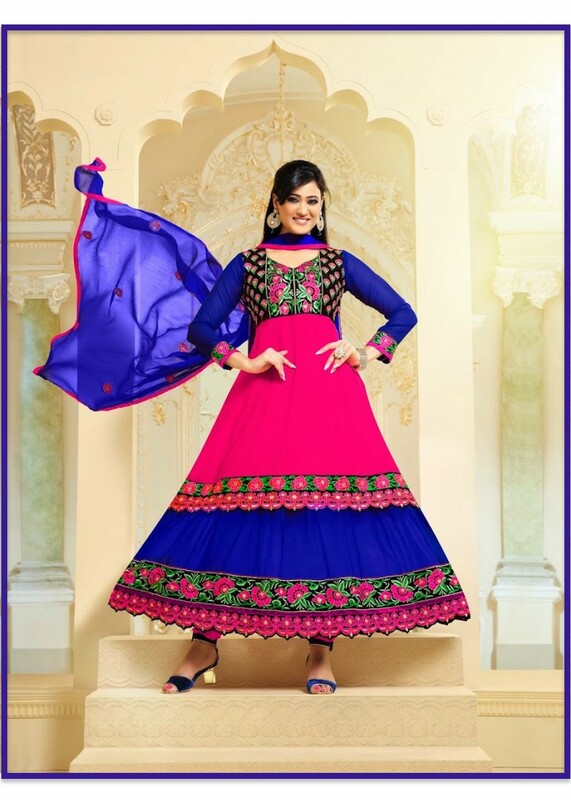 GHERDAR: A flared garment with an ample skirt. Hit This Link for Fashion Schools Near You. FACTORY OUTLETS IN EVERY STATE provides a detailed list of outlet stores with discounted prices on all the clothing and accessories you need, from streetwear to formal wear to Fashion Modeling attire and more.